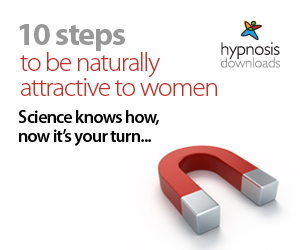 How To Attract Women And Make Them Interested In You? How To Make Yourself More Attractive To Women And Get Them Interested In You? A lot of single men are looking for advice on how to be more attractive to woman. Many men find it easy to talk to their mates, but as soon as they think about or try to talk to a woman they fancy. Everything changes, and all of a sudden the nerves and anxiety creep in and their natural free flowing talk dries up and they struggle to find things to say. You would think, approaching a woman, should be fairly easy. You, see somebody you like. You casually and naturally work up to them. You start a friendly conversation and you just try and get to know her and see how things develop. But, for most guys. It might sound easy in theory, but in reality, it can be one of the most scariest things that you will have to do. Mainly due to a lack of confidence or the fear of failure, most men hesitate, self doubt, see everything going wrong and end up talking themselves out of approaching a woman. Yet, you already know how to talk to a woman naturally and calmly. Let's say you have an appointment at the bank with a woman. You would, just arrange a date, you wouldn't worry about it in advance, and you would not worry about what she might think about you or stress out over what you're going to say. You would, just calmly attend your appointment with the female bank assistant, and because you are not putting any pressure on yourself. You would just chat naturally and spontaneously and you would be yourself, without and fear or anxiety attached. Yet if you, were about to approach a women, you liked or you were going on a first date. The chances are, you attitude and how you were feeling, would be very much different. Because, this time, you will probably attach doubt, fear and anxiety to the situation. This may cause you to hesitate, doubt yourself, hold yourself back or it will prevent you from being, your best and most natural authentic self. After you have read this article, you should feel more at ease when you go on a date with a women or you will be more attractive to women so you can talk to any woman the same way you wold speak to a woman you were not trying to date. One of the main things many men want to know is. How to behave on a first meeting or what to do and how to feel calmer and more at ease on a first date. Most men make a few big mistakes when they first approach a woman, which you will need to avoid. As they will allow you to feel more comfortable and natural on that first date or meeting, which will make your whole dating experience more enjoyable and less terrifying. One bit of advice that might help you tremendously is. Try not to see it as a date or don't go with the approach and attitude of you trying to make the women you're approaching, your potential girl friend. Otherwise, you will just end up feeling anxious, nervous and unnatural, and you will run the risk of putting the women you like, off you. Women like to feel secure, and they have an inbuilt mechanism that can detect immediately a needy or desperate guy who looks like he is after a mate. They will see you coming, and they will automatically put up their guard and defences. From a woman's perspective. Most men have it written all over their faces which is conveyed in their body language and behaviors. That comes across to the woman as. I am so desperate to be your boyfriend, that I am feeling anxious and nervous. Which leaves the impression, that you have already made it your intention to date her or make her your potential girlfriend. Can you see, how this may look from her perspective. She doesn't know anything about you or who you are. Yet she is supposed to make a instant decision about something that may affect the rest of her life. You simply cannot just approach a woman and expect her to be your girlfriend. Most women like to casually get to know you and feel comfortable with you before they even think about, what could be potentially, a future boyfriend material. Women, like you, want a loving and happy, fulfilling relationship. You just need to, take the pressure of, so you can both relax, and see how things develop naturally. If you approach them, the old cave man style, and you make it your soul intention to get them to be your girlfriend. This is going to put a lot of pressure and stress on you. The chances are it will make you feel tense and nervous and it may decrease your chances of dating the women you like. Everybody naturally feels a bit uncomfortable when they first meet. But if you feel too anxious, because you have already put to much pressure on yourself or if you try to act unnatural and force things to happen. It is going to make you feel uncomfortable, anxious and nervous, and the woman is going to pick up on this, and it will leave her feeling uncomfortable. Which can make the whole situation or date, very uncomfortable and awkward. We've all done it. Where we approach a woman, with the goal of making her your girlfriend. Or maybe you have had, a few to many drinks, and you have approached a woman, like the old hunter gather type of man would. The first thing you should change then, is. Anytime you approach a woman or girl that you like. Don't see them as your potential girlfriend. Just approach them, with the attitude, that you're just going to have a casual conversation with them. Try to act and be your natural self. Laugh and have a joke at each others expense. Do not try to impress her or pretend to be something your not. At this point, all you want to do, is be nice and friendly, and respectful for her feelings. Just get to know more about her, of course you want to genuinely be interested in her and what she likes and says. But just try to be cool and calm and behave as you would if you were casually talking a woman, you had no intentions of dating. If you're interested in attracting a woman, you're probably wondering. What is the best way to get her interested in you? How do you get her to realize you like her? No, doubt. There are many other unanswered questions and doubts taking place in your mind. Like. Will she find me interesting? How do I get her to like me or notice me? What can I do to impress her? And so on. The chances are, instead of being and acting naturally and spontaneously and seeing how things pan out. You plot your every move to military precision in your head. Sometimes we mess up because instead of going with the flow, we come across as being a bit to needy and desperate and we try to hard to please. Or we spoil our chances by fighting to hard with ourselves. From the woman's point of view, this does not make you look very attractive. You follow the old cliche. "Treat them mean, keep them clean"
You want to treat them with respect. It is not all down to looks or your status either nor are there any set rules or guidelines to follow, as every girl is different. Many guys beat themselves up, feel unhappy, think they will never meet anybody or they're to hard on themselves, because they have not go a girlfriend. You may even, think that there must be something wrong with you. Yes you want a girlfriend. But you happiness should not depend on it. Ideally, you want to be happy and you should enjoy yourself, even if you're still single. Attraction is not a choice or something that you can force it to happen. If you're having trouble finding a girlfriend or you're struggling to get her interested in you. Then maybe, you're trying to hard or you have become a bit to needy, clingy and desperate. If you're having to pursue a girl to hard or you're having work at it. Then, there is something wrong or you need a more natural approach. Because, attraction, should happen naturally, if you have to try to make it happen, not always, but in most cases, then it is not natural and unlikely to happen. Attraction, happens, when you both feel it. If a girl does not feel attracted to you, then it is not really something that you can get her to change that easily. How do you get them to be emotionally attached to you? By making her want to spend more time with you. Be fun and interested to be with and be interested in her. It has a lot to do, with making an emotional anchor. That means, making a good impression. This does not mean you have to go over the top with the compliments, come across as being boastful or try be overly nice and over the top. You should not have to adapt or be over accommodating, just because you think it is necessarily to get her to like you. Again, you should always treat them nice, be respectful, as well as considering their needs and wants. And it is good to have things in common. Remember, you want to make a good impression, and it is not so much about what you say, it is more about the good and happy feelings you associate with you and your date or meeting. But the man should remain masculine (But not the stonehenge, caveman type, control freak) and the woman should be the feminine one. Making a good impression, means leaving a positive impression and a happy feel good memory. By that I mean. Making her feel great, make her feel important and significantly when she is with you and leaving her feeling as she has had a great time and she has enjoyed your company. The more you can like yourself, be charismatic and spontaneous, and believe you're good enough. The more attractive you will be. If you want to grab yourself a girlfriend, unless you're lucky enough for them to approach you then at some point you're going to have to pluck up the courage to approach them. This may mean that you have to face your fears. Some people may have already advised you, to just face your fears and walk up to a girl and start chatting to her. But it is it a good idea, to approach a woman if you're feeling nervous, anxious and tense or can that make it even worse. Facing your fears, let's say you're afraid of spiders. Then it is a good idea to approach a spider and remain put, until the feelings subside and you get used to spiders. But, it may not be such a good idea to approach a woman you like, if you're feeling very anxious and nervous. Because, if it does not go well, then this can give your self confidence a knock back. Of course, if you're on a first date, you could be honest and say that you feel a bit nervous and anxious. Gaining confidence with women is just like learning any other new skill. It takes time and practice. Every skill that you have acquired in your life was gained by practice and working at it until you got better and better. Each new skill you have learned usually ment. You made mistakes along the way and you used those mistakes to learn and get better. Mistakes should be used as the stepping stone to growth and developing your self confidence. So, try not to be hard on yourself if things don't alway go as good as you liked the first time. Making an effort to just say hello to as many women as possible, then gradually increasing the conversations, can help you to overcome your fear of chatting to them. Most men are afraid to approach a woman, because of the fear of being rejected. To help you overcome the fear of being rejected. Accept that you're going to have some failures along the way, and be OK with that. Nothing ventured nothing gained, if you do not take a few risks, then you're not going to get the rewards. If trying to meet, talking to or developing a relationship with a woman is making you feel anxious and nervous. "Yes, I do feel anxious when I speak to woman, how I would like to be is calm and comfortable"
Do not try and fight with your feelings, as that will just make you feel even more anxious. Accept you might feel anxious and be OK with that. Mentally preparing yourself before you approach a woman can help. Most men, imagine the worst case scenario and what they don't want to happen. When you keep on imagining things going wrong, then they usually do go wrong. But all that does is it conditions your brain to be afraid of going on a date or approaching a woman. You, can however. Use your imagination to see things going well and imagine the best case scenario happening. Accepting, the worse case scenario and being OK with it can also help ease your anxiety. Working on relaxing first, can help feel more comfortable when you approach and attempt to talk to a woman and it can make your date go better. Meditation and self hypnosis are both great ways to help you relax so you will feel more comfortable approaching or dating woman. Always remember not to see them as a potential girlfriend. If you feel anxious then it is a good idea, to learn how to manage those anxious thoughts. If you do feel anxious when you're with a woman. Just, try and relax your shoulders, smile, take a few deep breaths. Do not try and fight your feelings or want to suppress them. Just allow the emotions to rise up through you and away, and allow the feelings and sensations, to carry on, whilst you just observe them and focus on carry on talking to the woman your with. Just try to keep your body relaxed and practice speaking slowly, deeply and clearly. Try not to over analyze or over complicate things. You have no idea how things are going to workout, so there is no point trying to analyze or second guess everything. Sometimes it is better, to just think about something else, and go with the flow, with the attitude of. Let things happen naturally and in their own time. There are no set rules or guidelines as far as love goes. Sometimes you have to be patient and allow it to happen. Avoid putting pressure on yourself or allowing others to put pressure on you. Especially your family, friends and workmates. We have all heard it or been teased about, when are you going to meet someone, your end up on the shelf and so on. Do not feel pressured into trying to go out and meet someone, just because you think it is the normal thing to do. There is no point in rushing into a relationship, just for the sake of it and then ending up with someone who doesn't suit you. They say that there is a someone out there for each and everyone of us. You deserve to find love. But before you search for love, you need to feel happy and like and be good to yourself. Many men who feel anxious and nervous around woman. Often have inner insecurities, that they need to let go of or work on building their social and dating skills. Perhaps you feel a bit body conscious or you think that you're not good enough, successful enough or attractive enough. When you're meeting or dating a woman. The most important thing is to be yourself and don't try and pretend or be your something that you're not. Let go of any perceived ideas that you might have, regarding how you think a woman perceives you or what you think they want a man to be like. The main qualities, that you can have are. To be nice and friendly, be genuinely interested in them, respect them and try to enjoy yourself and have fun. If you or her makes a mistake, then just laugh it off. Do not try and be perfect, just go with the flow. Perfection can never be found, because it does not exist, especially in relationships. Trying to be perfect, will make you more imperfect and unnatural. Accept the things that you cannot change or you have no control over and work on the things that you can change. Allow it is important to look after yourself and keep fit, as this can help boost your self confidence and make you feel better. You don't have to have film star looks or the perfect body to attract woman. It is all about you and how well you treat yourself and your girlfriend. Because anybody can impress a woman in the short term. But if you fake it or you rely on alcohol to boost your confidence, then sooner or later you're going to get found out. If you're prepared to work on yourself and work on feeling good about yourself, then this is going to help you attract woman and keep them. The more you work on yourself, your goals and your career, the more attractive you will appear to woman. When you feel great about yourself and when you love and accept yourself, faults included, then you're going to be more appealing to woman. Those who put in the work on themselves, develop their confidence and social skills and those who learn how to treat a women well, reap the rewards. But if you do strike up a relationship, you need to be committed, faithful and stay true to yourself as well as treating your girlfriend good and always supporting them, for the long term. You want to make her feel great about herself. Woman like you to be spontaneous, different, interesting and exciting. The more natural you can be the better. Trying to hard, will always work against you, and it sends out the wrong messages, that you're coming across as to needy or desperate. Things always workout much better, when you're just acting natural and you're being yourself, just trust yourself and trust that everything will workout right in the end. If you keep on telling yourself that you're never going to meet someone or you're not good enough, then you will struggle to find your ideal soulmate. Remember, there is nothing wrong with you. You have not got to change who you are, you just have to work on bringing out the very best version of yourself. If you're looking for a girlfriend. Again don't go out with the soul intention and attitude of you must find a girlfriend and you must find one tonight. Just go out, with the intention of enjoying yourself and try to talk to woman naturally and just have fun and aim to have great time. If you come across as to needy or desperate, then this will project negative energy and you will actually reduce your chances of meeting someone. The same applies if you're going on a first date or you have met somebody on a dating site. Do not focus on the end result or getting to the next date. Just go on the date with the intention of having fun ad getting to know her better. Because the less needy you are and the less you try, and instead you just aim to enjoy yourself and have a great time. The more positive energy you will project and the more comfortable you will both feel. Don't go out or on a first date and judge the woman on her first impressions, get to know her first and give the date a chance to blossom and develop. Never rush in and jump to atumatic conclusions or make an instant decision about the woman you want to get to know or when you go on a first date. Also, try to avoid making predictions or over analyze how you think your date is going to go before it actually takes place or before you go through the situation. Because very often it is not as bad as you imagined and it might just turn out to be a positive and enjoyable experience. Therefore, it is far better for you to expect to have a good and fun time and be open to having a positive experience, without making an pre-judgements or trying to workout how things might go. The secret is to be happy, whether you're single or in a relationship. And although you want a relationship, you should still pursue your own hobbies, goals and interests as well. A man who is happy with himself and life and knows where he is going, even when he is single, will be more attractive to woman. And when you're in a relationship, it is fine for the both of you to carry on with your own goals and interests. Although looking after yourself and toning up your body, can give you a physical advantage to be more attractive to women. There is much more to attracting woman than the physical side of things. As far as attracting women goes. Most men make the mistakes of not focusing on the emotional side of things. Women are emotional creatures, and they want their emotional needs to be met as well as their physical needs. In most cases, you should put a woman's emotional needs before their physical needs. Getting the emotional side of things right is the most important than trying to physically seduce a woman. The more at ease and comfortable you can make them feel the better. You can say the wrong things, but still make a good impression. If you do get it wrong, instead of falling into that awkward silence and sense of embarrassment. Be open and honest, and admit to her, you got it wrong or you said the wrong thing, just say sorry and then move on or laugh it off. Don't go with a set of rehearsed jokes. Just try and be spontaneously and go with the flow and don't be afraid to poke fun at yourself. Although you can make a list of questions that you can ask her, as that can help you to further expand the subject or have some interesting subjects or topics of interests to talk about. You don't have to write a script or practice what you're going to say. All you have to do is, be yourself, be friendly and respectful and allow that in attractiveness and authenticity to flow. If you put yourself in her shoes. You wouldn't care to much, what she was talking about, you would just be happy that the conversation was flowing naturally and you both were relaxed and having fun. Being authentic is your greatest asset. The most essential things are, how you behave, who well you treat a woman and how good they feel when they're with you.